This machine is working manually. Rotary table rotates manually by the operator. Holes on rotary table sits to fingernail system at the end of every movement which carried out by the operator. 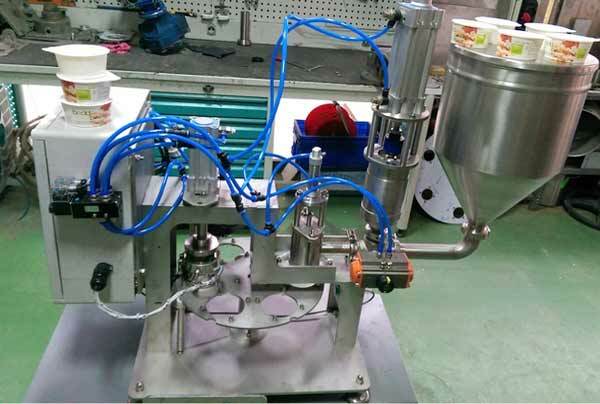 Filling and sealing application are carried out automatically. Two line dating is also available one of which is for production date and another is for expiration date station optionally. Placing cups, lids and the taking ready cups from holes are carried out by the operator carried out by operator. 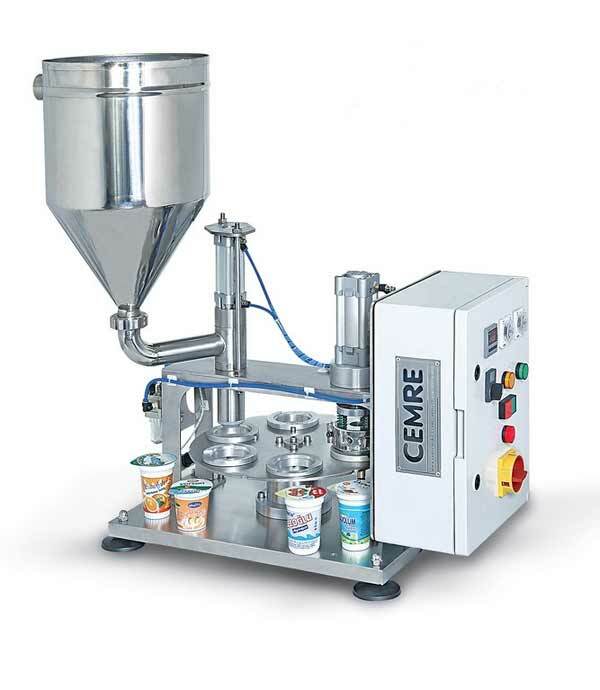 Which products can fill with our Cem-01 Model semi auto filler?